If something bad happened… say there was a natural disaster, or the flu hit your house (which is a disaster in my book! ), or the main breadwinner lost his/her job, or even if the car was just unexpectedly in the shop for a few days… Would you have enough food and water in your home to last 3 days? If the answer to that question is “no” you’re in good company. The recommendation is that everyone should have enough food and water in their home to feed and hydrate every person in the family for an entire week. But according to FEMA, 53% of Americans live in homes that don’t have enough food and water to withstand even a 3-day emergency. I don’t want you to be one of those people. It’s stressful enough when disaster (inevitably) strikes. I don’t want you to have to worry about what your family is going to eat on top of whatever stress you’re already dealing with. Having nourishing food already on hand makes your life so much easier when life is hard. 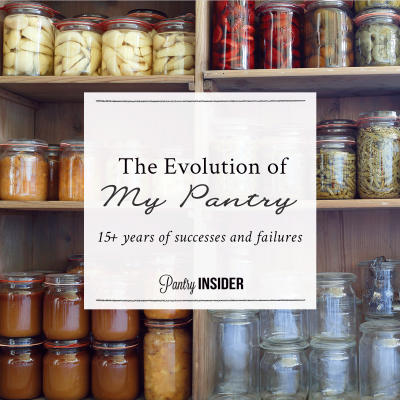 Whether you’re busy with a project, exhausted, sick, depressed, or just feeling uninspired to make dinner, having a well-stocked pantry makes it simple to put together a healthy meal for your family. My friend Brittany from Instant Loss used to be the kind of cook who would call her husband on his way home from work and say, “Hey Honey, could you bring home a pizza for dinner?” A few nights later it was, “Hey Honey, could you bring home some Chinese Food?” Then, last year, she made a new year’s resolution to stop doing that. 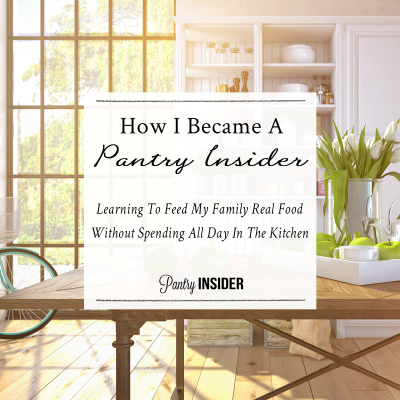 Her goal was to make supper at home every single night (usually in her Instant Pot, because that is quick and easy). 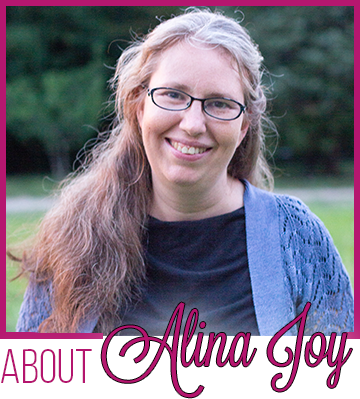 She never dreamed what eating dinner at home would do for her health! In less than a year, she lost 125 lbs… just by making that one simple switch. Nasty, unhealthy ingredients hide everywhere. When you’re reaching for store-bought convenience food or take-out 15 minutes before dinner time, you end up eating who-knows-what. Even seemingly healthy food can have questionable mystery ingredients. Stocking your pantry with healthy food helps you to avoid those “nobody-knows-what-those-are” ingredients. When you’re not reaching for something at the last minute you have more control over the ingredients that your family consumes. 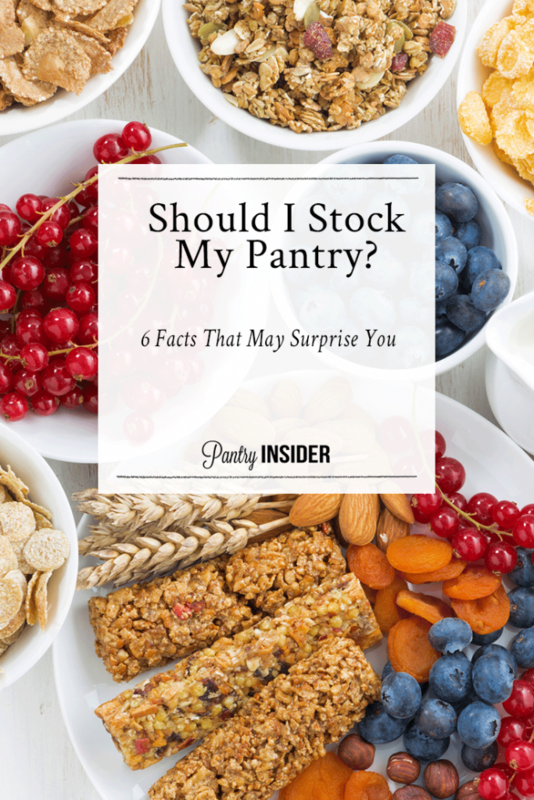 Stocking your own pantry allows you to know exactly what is in the food you are serving to your family and ensures that they get the best quality nutrition possible. Everyone loves the gal who brings fancy homemade jam as a hostess gift (or birthday gift… or an “I-was-thinking-about-you” gift). She gets invited back. 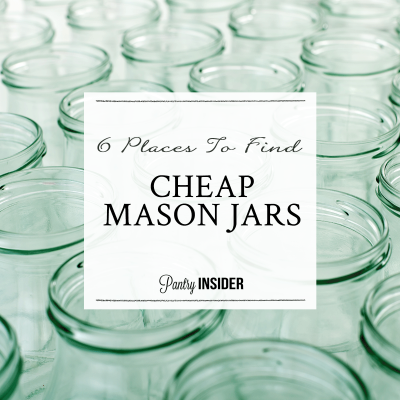 When we travel, I love to take a case of small homemade fruit butter with us. I give them away to people who we meet on our travels. They’re always so touched! “You brought this all the way across the country, just for me?” Why, yes I did. One of my favorite things about my pantry is how easy my pantry makes it for me to bless people who need it. A few years ago I bought something from a sweet young mama on a Facebook garage sale site. Shortly after we met, she had a miscarriage. I didn’t want this Mama to have to cook dinner the day she lost her baby but I also didn’t know if her family would like to eat the weird-allergy-friendly food our family eats. I figured, “Well, everyone likes spaghetti!” I live about 25 minutes from the nearest large town and I didn’t have time to go there and back, but I ran to the local dollar store and grabbed 3 packages of regular wheat spaghetti (They were $1 each). I cooked one package up at home, poured some homemade sauce on it and then took it to their home. I also left the extra spaghetti and an extra jar or two of homemade sauce for them to eat the next day. Life is unpredictable, but there’s a sense of security that comes with knowing you have done all you can to be as prepared as possible for whatever life throws your way. Want some inspiration? 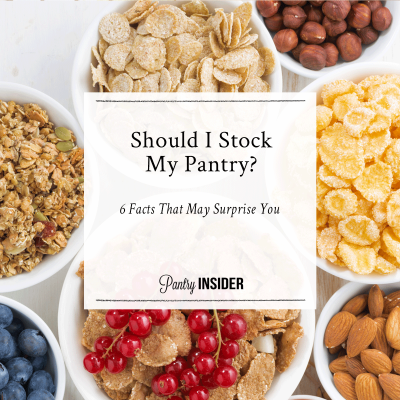 I have prepared a printable of these 6 reasons to stock your pantry. 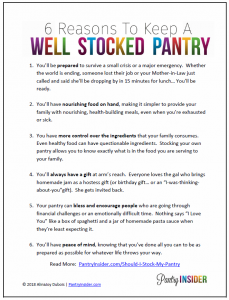 Put it in your Home Management Binder or display in it your kitchen for inspiration. 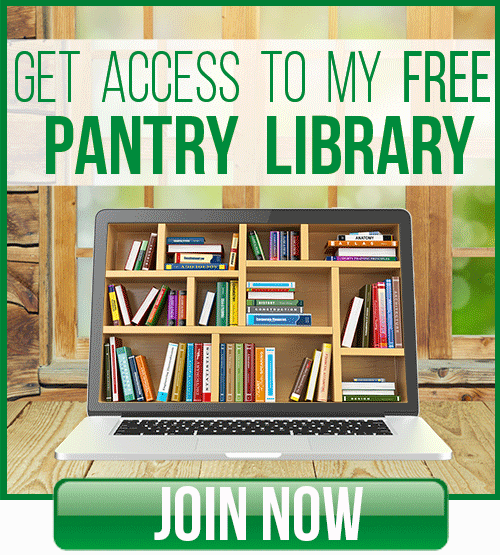 Head over to our Free Resource Library to print off your copy. There are LOTS of helpful tools in the library. Help yourself to any of them!